Facilitation of Leadership Encounters, extended times in the presence of God, lasting from one to three days. Conference speaking on Building Unity and Collaboration in Your City, Listening Prayer, and Discerning and Dealing with Spiritual Warfare. Coaching leadership teams in cities where leaders are intentional building authentic relationships, praying together regularly, and collaborating to release sustained, measurable kingdom impact on the city. Well, friends, been so busy out on the kingdom trail servicing expressions of John 17 unity and collaboration, it has been about a year since my last post! Lots going on. Here’s my most exciting city story of 2018. So, John Algera (second from right) who just retired pastoring a Church in Paterson for 40 years, has stepped into a new role of shepherding the shepherds of Paterson. In mid-December, John invited this new team, with their spouses, to share a meal together. Everyone showed up…100%. These brothers and sisters are seeking to simply walk in this “welcoming spirit,” keep praying, and seeking the Lord for strategies to bring kingdom impact to Paterson and the surrounding region. There will be challenges and obstacles. But here’s a core truth that sustains: when God’s people purpose to “come together in unity,” the Lord “commands His blessing,” pours out favor, and kingdom life springs up in surprising ways. Stay tuned! Paterson is in process becoming a different place! Looking forward to our early 2019 kingdom assignments, speaking at Capitalize in Ottawa, Jan 17-19 (consultation for city movements across Canada), leading Prayer Summits and consultations in 8 cities across India Feb 8-March 9, then March 11-18 for Movement Day Dubai, and another face-to-face with our Global Cities Leadership Community core. Thanks for your interest! If you don’t have one, pick up a copy of my book at Amazon, or write me at tntwhite07@gmail.com, $10 plus shipping. Mid-2017, as a veteran pioneer/practitioner of citywide movements of unity, prayer and kingdom collaboration, I’m convinced we’re seeing a sovereign, worldwide move of God’s Spirit bringing the Body of Jesus together in authentic John 17 unity in city after city. Some 15 years back, I recall a kitchen conversation with my wife: “Before my active ministry ends, I just want to see a few functional models of a healthy Ephesians 4 Body of Christ up and running across a local community.” Well, we now have hundreds of “city gospel movements” of all sizes and cultural complexity across the US, and many more emerging worldwide. On day 2 of the Summit, I heard many comment, “We’ve been praying for a breakthrough like this for 25 years.” I celebrate with these faithful colleagues an “only God” experience. George and I are booked in for a second Summit in October, with a wider invitation list of 50-60. August 23 I head back to India for a three week, full-tilt itinerary leading Prayer Summits, casting vision for city movements, consulting with city leadership teams. I’m working with the South Asia City Advance team on a bold vision to see 250 healthy city movements up and running by 2022. If you’d like to stay better connected to this movement, send an email to tntwhite07@gmail.com, with CONNECTION in the subject line. And consider picking up a copy of my recent book, The Practitioner’s Guide: Building City Gospel Movements (available at Amazon). Connecting, equipping and coaching leaders of collaborative city movements to advance the gospel, resulting in measurable societal change. What a joy discovering leaders of like kingdom “dna” and common calling, and partnering. 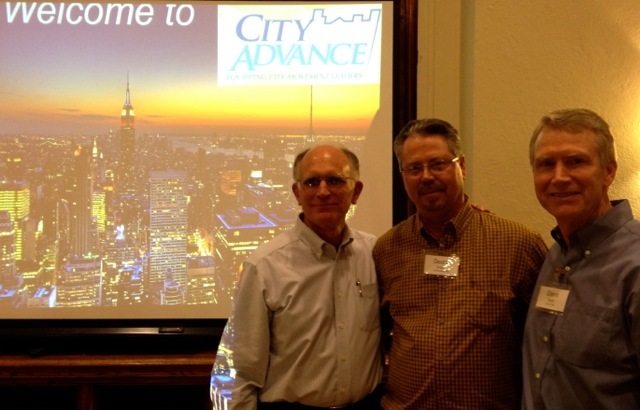 From the left above, George Ordway, Sam Estes (Communities, INC) and I are launching City Advance, offering leaders of city movements worldwide four services that are “in season:” 1) Leaders Prayer Summits, 2) Coaching & Consulting for movements both emerging and existing, 3) the City Advance Conference, a 1 or 2 day regional consultation for leaders of “CGM’s” (city gospel movements), and 4) a proven model for a Community Task Force that catalyzes cross-sector collaboration~~people of faith partnering with people of good will for the overall good of their community. It’s common in millenial culture to talk about “finding your tribe,” others of like passion and purpose: vocational colleagues, sports enthusiasts, fishing buddies, foodies, political junkies, etc. 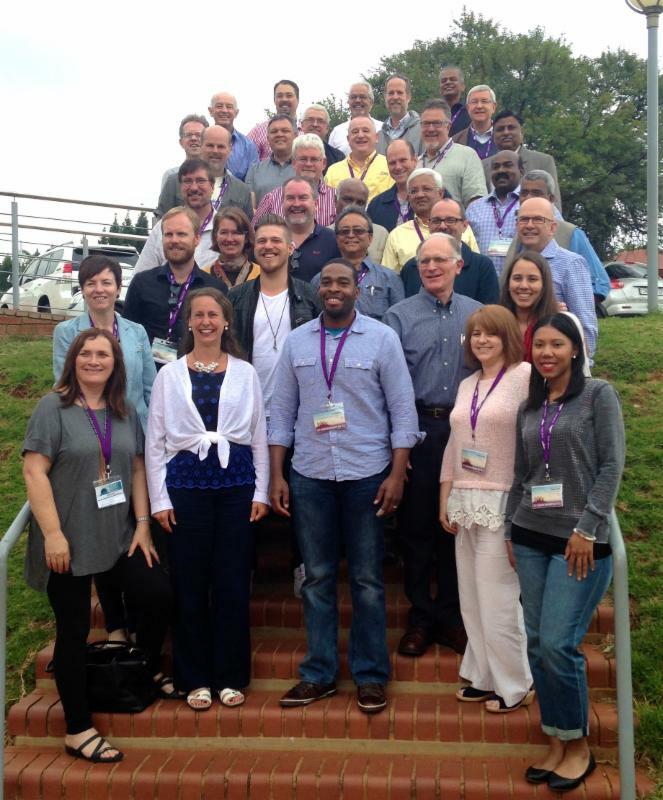 Here’s my tribe: members of the Global Cities Learning Community,meeting this past April in Pretoria, South Africa to build deeper relationship, envision and plan an international consultation of leaders of city gospel movements in New York, October 2016. We share a common aim: to moblize a unified, praying Body of Christ to more effectively partner with Holy Spirit to increase the number of Jesus followers in a local community. Some of you have tracked with Frontline since our inception in 1983 (the “spiritual warfare” era), others since 1990 (the “Prayer Summit” era). More recently, our calling has centered on catalyzing John 17 and Ephesians 4 communities in cities and nations. Thus, I am now serving as Coordinator for the GCLC, parterning with the New York City Leadership Center planning Movement Day Global Cities in October, 2016. Our site was just launched: Movement Day Global Cities Check it out! If you or a colleague in your city is keen to participate in this Fall’s Movement Day in New York, here’s info for that: Movement Day 2015. Kevin Palau and I are co-leading the Gospel Movements Track in the afternoon, featuring the city movements in Kansas City (an established, maturing movement), and Spartanburg, SC (emerging). Big events inspire, connect and energize. But they come and go. My dream, now becoming reality, is to help envision, plan and facilitate regional consultations of city movement leaders: like here in Oregon (Nov 30-Dec 1), greater Seattle (Oct 20-21), California (Feb 10-12) and India (Feb 16-18). Coming out of New York, I see the City Advance format I’ve spent 6 years developing happening across Africa, Asia, the South Pacific, Central and South America. In short, mobilizing a healthy, united Body of Christ to partner in seeing greater numbers of people transformed by the power of the gospel. I’m excited about what my “tribe” is up to. Take a good, long look, and take a moment to ask Holy Spirit to bless, protect and anoint the GCLC as we seek to catalyze John 17 communities worldwide. If this vision resonates with your heart, continue to partner with us in prayer, and participate financially. I love serving as consultant and catalyst for city movements, both emerging and existing. If I can be of help to your city, let’s talk! 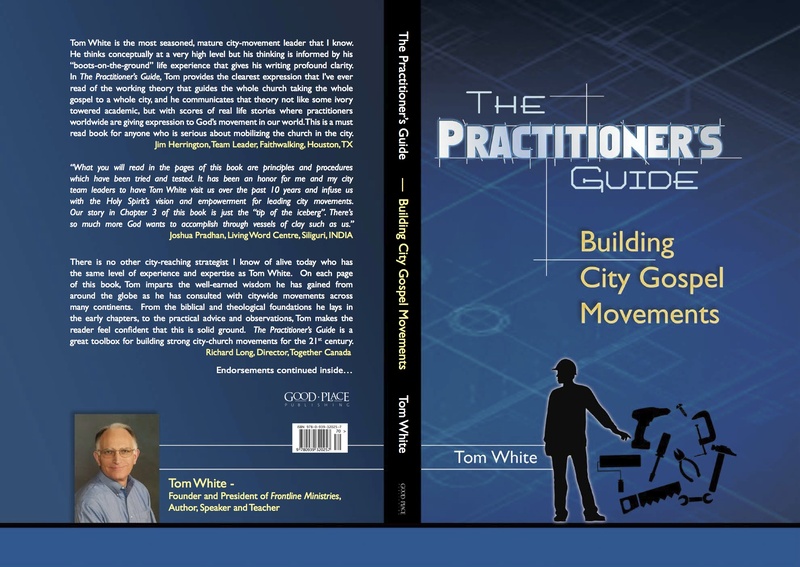 And if you don’t yet have a copy of The Practitioner’s Guide: Building City Gospel Movements, you can order one from me direct, or through Amazon. In a day of constantly breaking bad news, here’s some encouraging news. In communities worldwide, existing kingdom leaders are partnering with emerging leaders to grow God’s kingdom through citywide collaboration. I’ve been describing this as “parallel wineskins,” making room for new wine and new ways, while allowing old wineskins to stay around awhile. Partnering with host George Ordway (Communities, Inc, Fresno), I was both a facilitator and presenter at the first-ever California City Advance last week in Fresno. Here’s a look at these amazing new wineskins, young leaders in Fresno passionate about Christ-centered civic engagement. We also had some of the best existing city-reaching practitioners on hand: Paul Cedar, CEO of the Mission America Coalition, and evangelical statesman, with a word in season: “Don’t forget the gospel” as we actively engage meeting the felt needs of people in our cities. Our good deeds also serve to open the doors of people’s hearts to hear and receive the good news. And Phill Butler (Vision Synergy, author, Well Connected), a master practitioner/teacher on the how-to’s of building sustainable partnerships, brought the “nuts and bolts” on what it really takes to walk and work together with vastly different gender, generational, theological and ethnic grids. This “City Advance” consultation and format is one major, current investment. Another is my involvement over the next two years helping to coordinate the growth of an international network of city movement practitioners, the Global Cities Leadership Community (“GCLC”), men and women committed to building a sustainable John 17 “witness of oneness” in their communities. From my perspective, it’s a privilege to be available to counsel and assist these leaders as they engage citywide collaboration in such cities as Berlin, Budapest, Mumbai, Manila, Nairobi, Oslo, Dubai, Jakarta, etc. GLOBAL VISION, FINANCIAL NEED. My role in this requires me over the next 18 months to meet face-to-face with groups of these leaders, building relationship, discerning their challenges and learning how Holy Spirit is moving in their unique cultural context. Over this period, we need $5000 to cover added travel costs. If this vision stirs you, please consider a strategic and timely investment in Frontline. 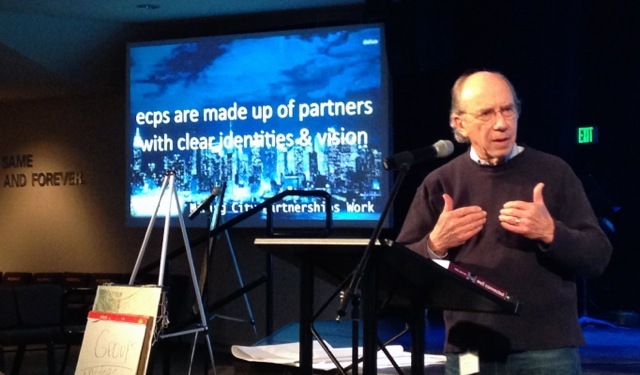 Our short-term goal: gathering 4000-5000 leaders in New York City October 24-28, 2016, to receive biblical exposition from the likes of Tim Keller and Bill Hybels, to present city movement models and share best practices. Long-term: our vision is to establish on-going leadership learning centers in 12 geographic hubs worldwide, to further resource sustainable, fruit-bearing city gospel movements. Here’s the prototype: April 20-24, I will help facilitate some 50 GCLC leaders getting exposure to the “Doxa Deo” movement model in Pretoria, South Africa. We’ll also participate in the first-ever “City Changers” consultation for cities all across South Africa…a virtual learning laboratory. So, yes….I’m greatly encouraged and energized these days! 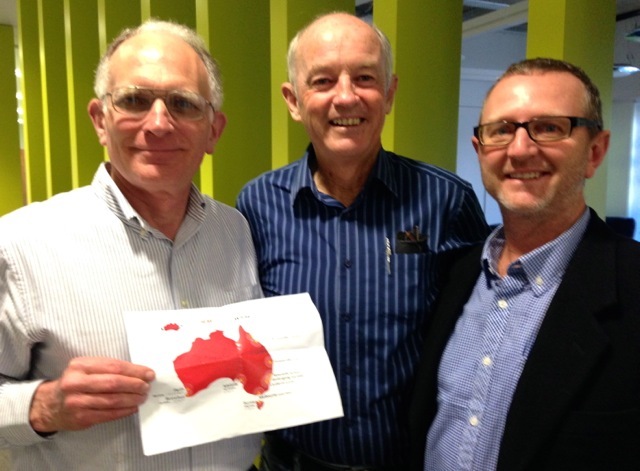 Comments Off on Inter-generational partnering…it’s happening! City Advance has already gone regional: our aim is to make this learning experience affordable, accessible and contextual. We gather in Portland, OR Dec 1 & 2 at the Luis Palau Association (PNW-City Impact Roundtable), and Feb 11-13 in Fresno, for the first-ever all California Regional City Advance. If interested in either, email me for details. Friends, that’s what I hunger for in my own city. That what I long to see happen in any city where I’m engaged. A healthy, citywide Body of Christ advancing God’s kingdom on their knees, humbled at the foot of the Cross. Unmistakeably, the Holy Spirit is stirring the hearts of God’s people worldwide–across theological, racial and generational barriers–to worship, walk and work together, and display a “witness of oneness” (John 17:21-23) to cultures that are broken and fragmented. In early May, I had the joy of speaking in London at “Gather,” an annual consultation of city movement practitioners from around the UK. There are now over 100 cities of diverse size where the Body of Christ is coming together to intentionally serve and bless their local community. I was inspired listening to Lloyd. He shared that in 2001, the London Times designated Stoke-on-Trent as one of the the worst places to live in England. The collective Church made this observation: “it’s not the quantify of darkness that matters here, but rather the quality of the light.” In twelve years, the quality of life in Stoke-on-Trent has changed in dramatic, measurable ways. I brought encouragement to my fellow fanatical city-reachers by sharing stories from healthy citywide movements in North America, India and Eastern Europe. 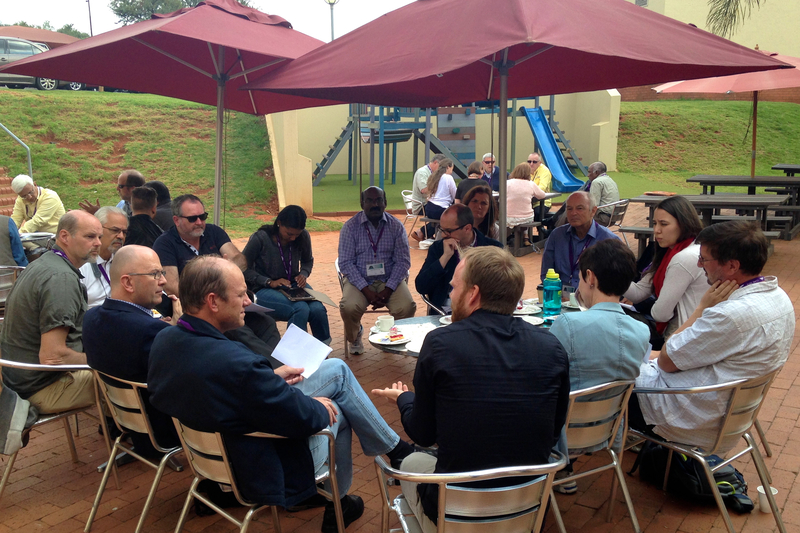 Last June, in Bangalore, INDIA, I was involved in launching the Global Cities Leadership Community (GCLC), a mix of practitioners and educators committed to this mission: Helping catalyze, celebrate and accelerate sustainable city gospel movements worldwide. Under the leadership of Dr. Mac Pier (New York City Leadership Center, and Director of Movement Day (www.movementday.com), I serve as the coordinator of this global community, which we are now expanding. 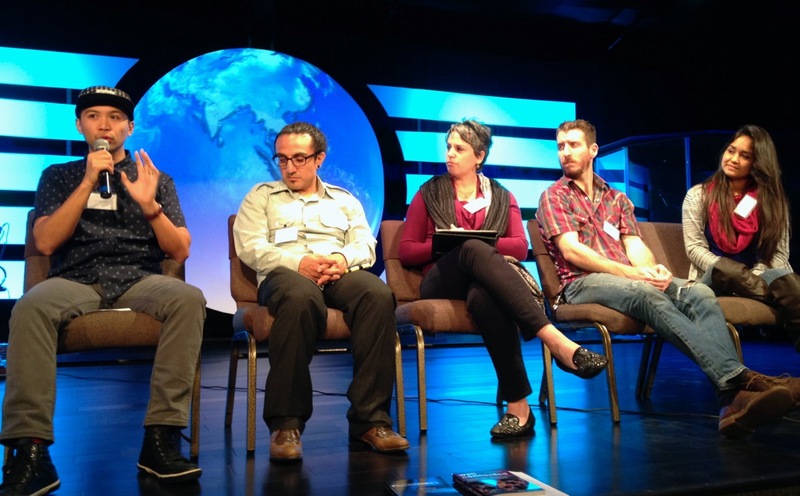 We are praying and planning towards a “Global Cities Movement Day” in the Fall of 2016. 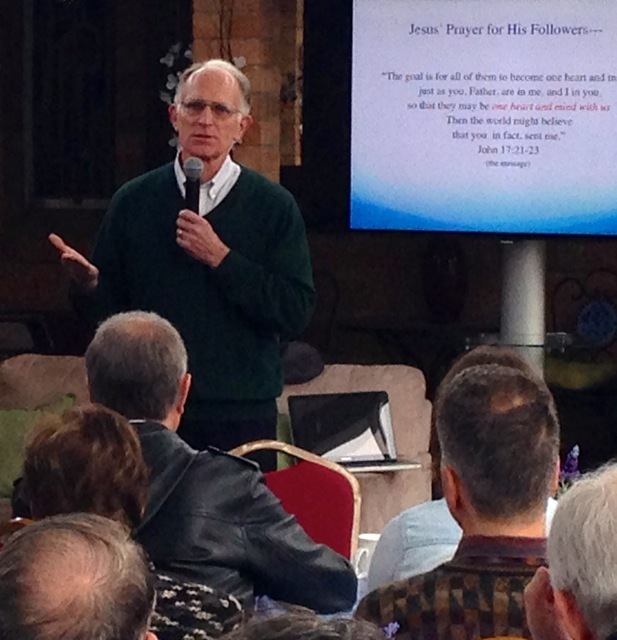 This is on track with my passion and call to catalyze sustainable, fruit-bearing John 17 communities worldwide. This is under the banner of the “Lausanne Movement,” well renowned for this vision: “The whole church taking the whole gospel to the whole city.” Mac is the Lausanne Senior Leader working specifically with city movements. 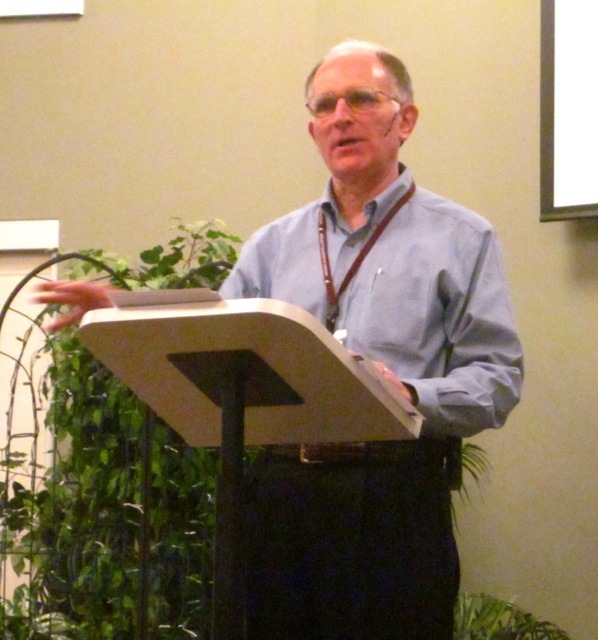 Ian Shelton, pastor in Toowoomba, Australia, has faithfully promoted unity and collaboration in Christ’s Body since the mid 1970’s. A longstanding friend and colleague, Ian has opened a door for me to introduce my book and speak in ten cities around the nation (The Practitioner’s Guide: Building City Gospel Movements). I’m eager to get on-site “down under,” release the vision and wisdom the Lord has imparted to me, and also to observe, listen, learn and receive from what the Spirit is doing in this great nation. As a very secular, productive and fun-loving nation, Australia desperately needs spiritual awakening. In London, I was privileged to envision and pray into this visit with Ian and Pastor Rick Prosser. Terri and I would greatly appreciate your agreement with us in prayer, asking and believing the Spirit to bring Jesus’ Body into increased health and collaboration in the cities of Australia. If you wish to keep more current with my itinerary, sign up to receive the CONNECTION, Frontline’s monthly e-bulletin. Email tntwhite07@gmail.com, with “CONNECTION” in the subject line. Thanks for your interest, intercession and investment in our calling.